Zodiac Heating and Air Conditioning, Inc. has been dedicated to providing the finest heating and air conditioning services in Northridge for over 30 years. We have thousands of satisfied residential and commercial clients across Los Angeles and the San Fernando Valley, and a longstanding reputation for high-quality workmanship, excellent customer service, and competitive rates. We provide upfront, flat-rate quotes and stand behind all our work with excellent written warranties. Diagnostic visits are $79 per unit, and we provide free on-site consultations and estimates for new heater or air conditioner installations. All of our HVAC services, from sales to preventative maintenance, are provided by experts in the HVAC industry. Our sales reps are Carrier factory trained and have more than 20 years of industry experience each. Our service and installation technicians are North American Technician Excellence (NATE) certified, receive ongoing Carrier factory training, and are familiar with all of their models of furnaces, air conditioners, heat pumps, packaged systems, mini-splits, and thermostats. Our friendly and helpful office personnel are also highly experienced and knowledgeable, so you can trust that your questions and requests will be answered promptly and correctly. Finally, our owners are always heavily involved with the day-to-day operations of our business and invested in making sure each and every customer is 100% satisfied. Our family-owned and -operated, local HVAC business is located near Northridge, CA. 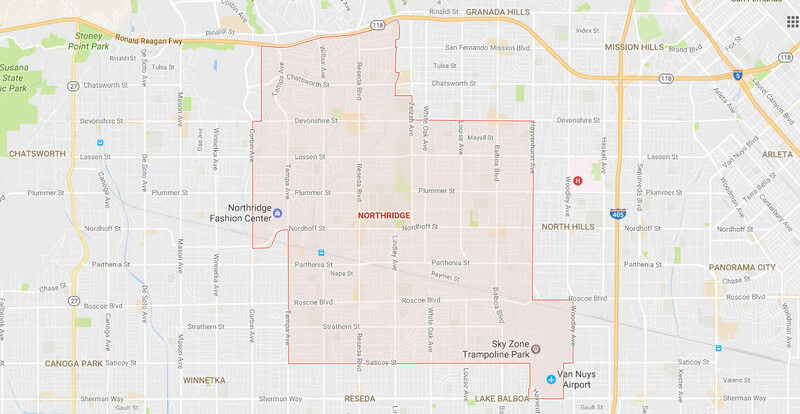 For routine heater and air conditioner service, installations, and tune-ups in Northridge, we typically schedule appointments between the hours of 7:30am and 4:30pm, Monday through Friday. 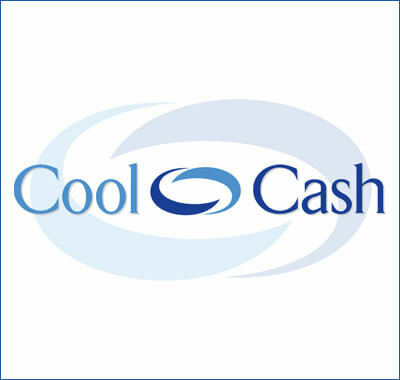 We accept checks and all major credit cards. We can also provide 100% financing and provide guidance on all available energy rebates and tax credits. Zodiac Heating & Air Conditioning, Inc. is a fully licensed and insured HVAC contractor. We're also a National Comfort Institute member, a HERO Registered HVAC Contractor, an Energy Upgrade California Registered Contractor, a BPI Certified Contractor, and a Carrier Factory Authorized Dealer. In addition, we've won numerous awards based upon the quality of our service, including Carrier's prestigious President's Award. Since 1984, Zodiac Heating & Air Conditioning, Inc. has provided the best value in air conditioner repair and service to Northridge. Our AC diagnostics and repairs are always affordably priced and performed by experienced, NATE-certified HVAC technicians, who are familiar with all major makes and models of air conditioners, heat pumps, and packaged systems. They arrive within the timeframe promised and bring everything they need to get the job done as quickly as possible. We use the latest diagnostic tools and keep our service vehicles stocked with the most commonly needed replacement parts. We charge $79 for a thorough diagnostic assessment of your air conditioning system and provide an upfront quote for repairs. If approved, we can usually complete most repairs on the same visit. AC repair work is backed by a 90-day warranty on parts and labor. Call today to schedule your AC repair and service in Northridge. If you'd like to receive priority scheduling for all service requests, consider becoming an HVAC Maintenance Agreement member. Zodiac Heating and Air Conditioning, Inc. provides exceptional furnace repair services in Northridge at cost-effective rates. Like our AC repair services, a service visit to troubleshoot the problem with your furnace is $79. This fee includes a thorough analysis of your heating equipment to ensure that we identify exactly what is causing the malfunction and identify any other issues with your unit that may be affecting its performance, energy efficiency, or reliability. All furnace diagnostics and repair work is performed by NATE-certified service technicians using the industry's leading methods and high-quality parts. We are approved to perform repairs under warranty using OEM parts. Our furnace repairs are charged by the job (not by the hour) and backed by 90-day parts and labor warranties. Call today to have a heating and air conditioning expert come out and resolve any issue you are having with your furnace at a budget-friendly price. 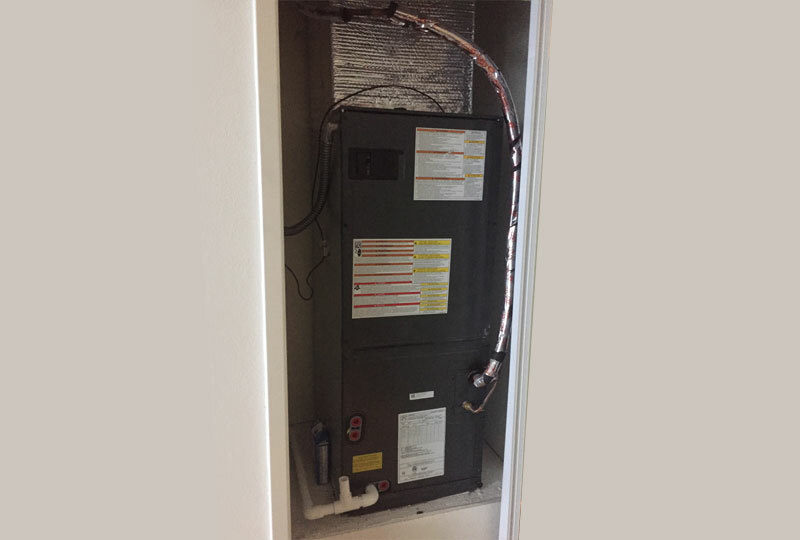 By calling Zodiac Heating & Air Conditioning, Inc., you are certain to get the best heating and cooling solution for your Northridge home or business. We have been selling and installing HVAC systems for over 30 years and can handle heating and air conditioning equipment replacements, upgrades, and new installations. We can determine what size and type of equipment will best accommodate your heating and cooling needs, property layout, lifestyle, energy goals, and budget. Call and schedule a free on-site consultation today with one of our customer service representatives who has 20 years of experience and receives ongoing factory training. Our rep will help you make a well-informed purchasing decision, review your financing options, and let you know of any tax credits and energy rebates that could save you money or cover the cost of an upgrade. We have a diverse selection of furnaces, air conditioners, heat pumps, ductless mini-splits, and packaged systems. For those who buy a Carrier system, we stand behind our new installations with a 10-year parts and labor warranty as well as a one-year 100% customer satisfaction guarantee. Call us today at (818) 465-8943 to learn more. To keep your heating and air conditioning system running efficiently and reliably for as long as possible, you need to invest in regular preventative maintenance visits. At Zodiac Heating & Air Conditioning, we provide comprehensive heater and air conditioner tune ups at very affordable prices. Our preventative maintenance tune-ups involve changing or cleaning the filter, cleaning and/or lubricating the motor and other moving parts, recalibrating the system as needed for maximum energy efficiency and performance, and ensuring that the system is operating within the manufacturer's recommended parameters. These visits not only prepare your heating or air conditioner equipment for the months when they will be used most, but also help you catch small problems before they become big ones and avoid health and safety concerns. Furnace tune-ups are typically scheduled in the fall, and AC tune-ups are typically scheduled in the spring. You can schedule your furnace or AC tune-up in Northridge at any time, or you can sign up for our Maintenance Agreement program. Once you are a member of our Maintenance Agreement program, you'll be entitled to two tune-ups per year, priority scheduling for service, and 15% discounts on all repairs. Call today to learn more. Zodiac Heating & Air Conditioning, Inc. is your source for today's best thermostats and controls, including the most advanced smart thermostats offered by Nest, Honeywell, and Carrier. The Nest Learning Thermostat is a customizable, self-programmable smart thermostat that automatically adjusts to your lifestyle and temperature preferences so that you eventually can stop thinking about it. Honeywell's Lyric Round Wi-Fi Thermostat is completely programmable and Wi-Fi enabled for remote control. It notifies you of extreme temperature changes and when your filter needs to be changed. For hands-free control, Honeywell also offers the Wi-Fi Smart Thermostat with Voice Control that can recognize voice commands from anywhere in the room. The Carrier Infinity Touch thermostat gives you complete control of your HVAC system, including air conditioning, heating, ventilation, air purification, and humidity. If you are interested in replacing or upgrading your thermostat and are located in the Northridge area, give us a call today. We're authorized to sell and install all Nest, Carrier, and Honeywell thermostats, and can help you find the best model for your indoor comfort preferences, energy-saving goals, and budget. We also service and repair all thermostat makes and models. If your Northridge home or office has a thermostat that appears to be malfunctioning, call us today to schedule a service appointment. In addition to having clean, well-sealed ductwork, a good air filtration system is the other main contributor to having cleaner, healthier air in your home or business. This is particularly important in Northridge and other parts of the Santa Clarita and San Fernando Valley, where Santa Ana winds frequently stir up dirt, pollen, ash, and other contaminants. These contaminants easily get indoors through windows, doors, and cracks in the house and are then circulated throughout the house or building via the central heating and air conditioning system. To remove such contaminants, you'll want to change your HVAC system's filter on a regular basis and perhaps consider upgrading your air filtration system. For example, Carrier's Infinity Series Air Purifier doesn't just filter the air; it traps and kills viruses, bacteria, mold, and other pathogens as well as captures and removes the most common allergens, such as pollen. If you'd like to improve the air quality at your home or business, call the Healthy Air Experts at Zodiac Heating & Air Conditioning, Inc. today.